Both teams are 12-4, both teams have a very solid defense, both teams have a win against each other this season, and both teams are playing to be in the AFC Division title game. On paper the Ravens and Steelers seem to be pretty evenly matched, with the Steelers having a slight advantage on offense and defense. The Steelers were #1 in rushing yards allowed (62.8) and points allowed (14.5) during the regular season. 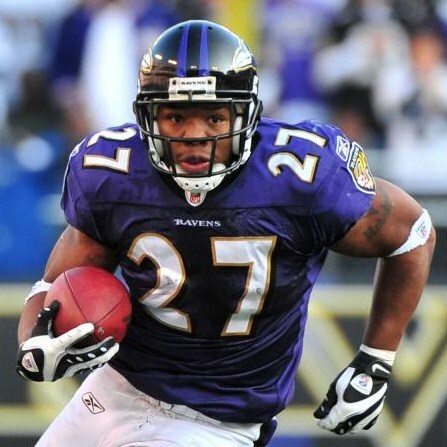 The Ravens were ranked 5th in rushing yards allowed (93.9) and 3rd in points allowed (16.9) for the season. The Steelers are 20-12 Against the Ravens during the regular season and 12-5 versus Baltimore at home. They beat the Ravens in the AFC title game last season 23-14. The Steelers won 2 games in a row to end the regular season but their home record was only 5-3. The Ravens have now won 5 games in a row, with their last loss being against, you guessed it, Pittsburgh. Since 2008, the Ravens are 4-2 in the playoffs. The Steelers are at home after a week off, while the Ravens are looking to win their second straight playoff game on the road. A big difference in the Ravens win last weekend was that they came up with 5 turnovers. The Ravens only had a +3 turnover ratio for the season, while the Steelers had a +17 turnover ratio during the regular season. Turnovers could definitely be the deciding factor on who wins this game. In their first game against each other on Oct 3rd, the Steelers were without “Big Ben” Roethlisberger. After holding the Ravens on 3rd and 4th and goal on the 2, the Steelers got the ball back on downs, but could not run out the clock. They had three penalties during that series, and were forced to punt. The game was won by the Ravens on their final drive, in which Joe Flacco went 4-4 for 40 yds in 36 seconds for the game winning TD, leaving just 28 seconds on the clock for Pittsburgh. The final score was Ravens 17-14 over Pittsburgh. The second meeting was played in Baltimore on December 5th. Troy Polamalu sacked Joe Flacco which forced a fumble late in 4th quarter. With 3:13 remaining, Pittsburgh had the ball on the Baltimore 9 yard line, and 3 plays later, the Steelers scored a TD and led for the first time in the game. The Ravens got the ball back on their 18 yard line with 2:50 left on the clock. They moved ball downfield, but an incomplete pass on 4th & 2 from the Steelers 31 ended their drive. Why the Ravens didn’t go for a game tying field goal, I don’t know? The Steelers won 13-10 in Baltimore. The Ravens offense will need to spread the field to keep the Steelers defense off guard by going for some big plays. 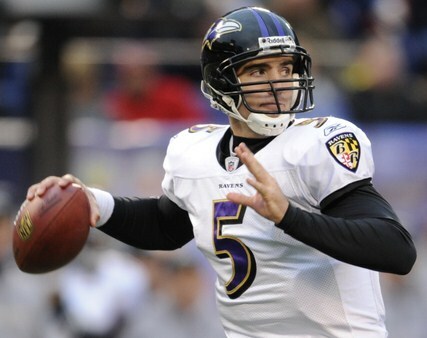 Joe Flacco needs to remain steady, and play like he did against Kansas City (73.5% comp, 2 TD’s, 0 INT). The Ravens need at least one receiver to get a hot hand like Todd Heap did last week (10 rec, 108 yds), whether it be Anquan Boldin, Ray Rice, Derrick Mason, or Todd Heap again. They need to establish somewhat of a running game with Ray Rice and Willis McGahee to control time and keep Roethlisberger off the field. The Ravens are playing great defense, and have forced 14 turnovers in their last three games. Ray Lewis and the defense need to remain solid, and any forced turnovers by Baltimore in this game would be a huge plus. If Terrell Suggs can pressure Roethlisberger and add to his team high 11 sacks, it will help slow the Steelers down. Getting an early lead will bode well for the Ravens defense and take the crowd out of the game. It should be a low scoring battle, and I feel that the Ravens will have to score at least 21 points to get a victory. The Steelers have had a week off, and should be well rested and prepared for this game. They also need to establish a running game that basically goes through Rashard Mendenhall . He has been their big workhorse, with 324 carries for 1,273 yards during the regular season. Ben Roethlisberger needs to do what he does and chip away at the defense and mix things up. Hines Ward always seems to come up big in games like this, and also watch for 2nd year WR Mike Wallace (60 receptions, 1,257 yards) to try to make an impact. Pittsburgs had the NFL’s best defense all season, and they just need to show the Ravens why they are ranked number one. James Harrison (6 fumbles) and Troy Polamalu (7 INT) need to pressure Flacco into making mistakes, and hopefully a turnover or two. Head Coach Mike Tomlin will have the Steelers ready to play, and they will play hard for the full 60 minutes like they have done all year long. ~ by Troy Erickson Realtor on January 12, 2011.